How business can help end the global water and sanitation crisis. How business can help end the global water and sanitation crisis. WaterAid, August 2017. Our new report shows that collaboration between business and the water, sanitation and hygiene (WASH) sector could drive substantial progress towards reaching everyone, everywhere with taps and toilets by 2030. Ruth Romer, Private Sector Advisor at WaterAid, introduces the potential it found. Elizabeth, 54, with two of her grandsons, Papua New Guinea. The market opportunity and consumer demand. The level of consumer dissatisfaction with existing practices, designs, and/or pricing. Sufficient market size for business owners to consider investing. Sufficient market density to make it cost effective to promote and deliver the products / services. Existing physical infrastructure for production and transportation. Familiarity with market-based transactions within the community. If the society is organized more around bartering or gifting, then a system based on buying and selling may pose challenges for adoption. The priority given to spending on latrines within the household and whether there is sufficient disposable income. 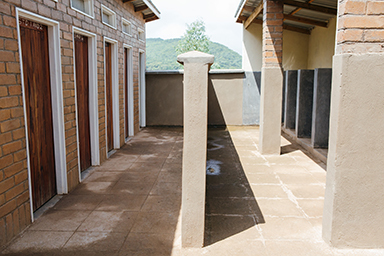 Households who are focused on covering basic needs, such as shelter, school fees, and food will likely not make latrine purchases a high priority. The regulatory environment, including the government’s ability to enforce existing rules and improve regulations based on changing market conditions. Even under ideal market conditions, market actors are driven to maximize profit, which provides little incentive to target the poorest of the poor. With this in mind, the group (and the sector as a whole) discussed two solutions—sanitation financing and smart subsidies—for ensuring that sanitation markets expand their reach to whole populations. Research and experience (for example, the iDE-commissioned Willingness-To-Pay study)⁠ show that access to financing can significantly increase demand for sanitation at market price. Bottom of the pyramid customers may not be able to pay the full retail price of a latrine in one large single transaction, but they may be willing and able to pay in installments by taking out a loan to finance the purchase of a latrine. Financing can be an accelerator of demand. Repayment rates in iDE’s experience have been 100%, indicating the low-risk nature of sanitation loans in the Cambodian context. PSI and Water for People are also experimenting with consumer financing for sanitation. The main results show that there is strong demand for consumer financing, but the sector is still working to develop a model that allows for financial sustainability and operational compatibility for the financial institution partners. PSI has also demonstrated that there is demand for supply side financing, which can serve as a “carrot” of sorts to motivate businesses to cooperate with the NGO on matters such as record keeping. A market-based approach does not mean the total absence of subsidies. In fact, everything we do as market-based NGOs is a form of subsidy, including R&D, capacity building, and demand creation activities. But practitioners should think about how subsidies can be used in a more strategic and targeted manner. In doing so, it is useful to think about subsidies in two categories. The first comprises subsidies for “behind the scenes” market development activities, while the second category is more closely aligned with traditional “direct” subsidies to consumers and businesses. The group agreed that subsidies should be focused primarily on the first category, “behind the scenes,” which often include functions such as those listed above: R&D, capacity building, and demand creation. Product design is often a critical component of developing a healthy market, especially in cases where no affordable, desirable products or services exist. From the group members’ experiences, demand creation is also an area that often needs to be subsidized, particularly in the initial stages when trying to introduce a new form of service that users are not strongly “pulling” for on their own. In no instances have we seen businesses investing sufficient resources in actively generating demand to rapidly increase uptake. In fact, it is a common business practice in these markets to passively wait for customers to show up and sell only when a product is requested. As such, practitioners should be prepared to invest heavily in demand generation activities as a means of building the market. With that in mind, any demand creation program should be aware of customer acquisition costs and make an intentional decision about who should bear that cost and for what period: the NGO or the business. Group members also agreed in their skepticism of the second category of subsidies, which comprises traditional, direct subsidies to consumers and businesses. This type of subsidy has the potential to create demand, crowd in other investments, and provide a one-time incentive for adopting a particular behavior (buying a toilet, in this case). However, direct subsidies to the customer-business transaction also have the potential to distort incentives on both the consumer and supply chain side, and to erode market health over the long term. Given the potential for these subsidies to undercut market development, the group agreed that they should be limited to those customers who genuinely cannot afford to pay at market price. In these cases, value-added services like loan financing can play a crucial role. The group members encourage other organizations to consider developing “smart” subsidies that precisely target poor customers through existing channels and market mechanisms, minimizing distortions in the rest of the market. A market-based approach implies scale – we don’t do things one village at a time; you can’t tell a business where to sell and where not to sell. They will sell wherever they identify a profitable business opportunity, and this allows the impact to be district and country-wide. 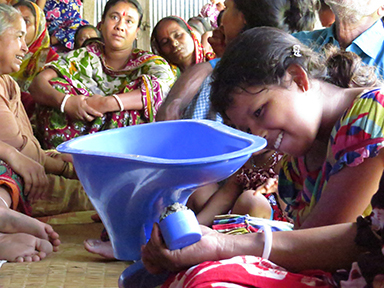 Developing sanitation markets is not an add-on accessory effort to your existing sanitation approach. You need competent staff and you need to invest in quality. You need to have a team dedicated to sanitation, not someone who’s doing sanitation AND water supply AND business development, etc. The market-based approach is also not a silver bullet. It does not work in EVERY circumstance, just like any other approach. Market facilitation does not mean a lack of subsidies or incentives. Everything we do is subsidy. It’s just a matter of where you inject the subsidy. Use subsidy in a way that minimizes market distortion while maximizing impact. You need to be nimble, iterative, and responsive to what you’re learning real-time from the market. In order to do market development effectively, your organizational culture needs to be business-minded. It needs to be a part of your DNA. A handful of trainings and a set of guidelines will not be sufficient to respond to real-time problems. Product innovation alone is not enough. You need to get the product right, but the innovation really happens in the business model. “Something that lasts a long time.” In the case of market development, the “something” refers to the ability to access desirable, affordable sanitation solutions, be it a pit latrine or a more sophisticated product. “A long time” implies that these solutions are available in the market for multiple generations after the initial market development efforts. A slightly more sophisticated way to describe sustainability (perhaps to a very savvy grandma or grandpa) is to say that market development approaches should leave the market in the hands of direct value chain players whose returns on investments are sufficient for them to continue delivering products and services that are affordable and desirable. These definitions indicate that market development efforts aim to develop supply chains that last, and to influence users’ perceptions and behaviors so that they reflect a priority for sanitation products and services. How do we arrive at 100% coverage? How do we arrive at sustainable markets? Is there a trade-off between coverage and intensity of intervention? iDE’s approach is to use the market to drive towards 100% coverage as much as it is cost-effective and efficient to use the market mechanism. iDE acknowledges that overall market activity will drop if and when iDE pulls out. This is especially true for latrine demand given iDE’s support of direct sales for demand creation. However, iDE believes in improving sanitation coverage as quickly and effectively as possible to meet SDG targets. Thus, iDE intends to play an active role to support market growth efforts up until the point where further efforts lead to substantially diminishing returns. For example, iDE may find that active intervention in the market leads to rapid rates of market penetration up until a certain point, say 80%, after which there are diminishing returns. At that point, iDE would likely recommend a more traditional approach combined with smart subsidies in order to reach the laggards (who may also be the poorest within the community). iDE also anticipates that at about 100% coverage of improved, hygienic latrines, the overall market activity would drop anyway, since demand will drop given high coverage. However, iDE believes that there will still remain a sufficient level of supply to provide for replacement latrines. Of course, it is still yet to be seen whether businesses will continue to invest in the R&D for more sophisticated products and services. Water for People and PSI believe in a lighter touch approach from the intervening organization so as to reduce the feeling of dependency, the external aid requirement, and to build a robust supply chain with healthy competition and active investment in new products and services. Actively driving towards 100% coverage is not the immediate project target of such an approach, but rather growing latrine ownership within the population to a point where social norms begin to dictate defecation practice and latrine ownership, and thereby latrine use is the only acceptable form of social behavior. That is, Water for People and PSI’s theories of change hinge on the assumption that there is a “tipping point” that the interfacing agency can help reach. Both approaches have their merits and disadvantages, and it is too early to decide which one is more successful and cost-effective. However, it is an important question and one that informs intervention design. Like a lot of questions in development, the answer usually starts with “It depends…” In this case, it depends on the theory of change and the primary objective, whether it is to rapidly increase latrine coverage (and use), or develop independent, sustainable latrine supply chains. All three organizations agree that the two objectives are mutually reinforcing at this point, which is why each has chosen to adopt a variation of a market-based approach to improve sanitation. For market-based approaches, sales are the topline metric. As such, sales should be a process that is integrated into all levels of the program. It is not just an afterthought. Below is a list of other indicators that are useful for monitoring market development. Sales: Markets are spaces where people buy and sell things. As such, the topline metric that market development programs use to measure impact is sales. However, it can be difficult to gain accurate sales information, particularly where a “light touch” approach has been used to encourage a business to enter the market. “Why should I tell you, you have not given me anything?” was the response of one sanitation business owner in Malawi. Use: From a public health perspective, consistent latrine use is key to gaining improvements in health. There are challenges in accurately and non-invasively monitoring use, but these measurements are key to ensuring that latrine purchases lead to latrine use. Health outcomes: Significant research has been conducted to show that consistent use of hygienic latrines leads to health improvement. Further monitoring and research would be useful in establishing the coverage and use thresholds that optimize health gains. For example, how do health outcomes change when moving from 60% to 80% coverage? From 80% to 100%? Access to supply chains: One question the group had is whether we should develop metrics around access in order to measure ease at which households can buy a latrine. For example, could customers get to a supplier 10km away? What is the time to delivery for the customer? What is a reasonable time for loan dispersal to for a customer? It would also be important to understand how these factors impact consumer experience and decision-making as they move from contemplation to purchase to post-purchase. Viability of businesses: It can get overly complicated to measure the viability of businesses. Businesses themselves will make an informed decision about the viability of the sanitation business by choosing to engage in the market. As such, the focus of business metrics should be on whether or not they are satisfactorily serving customers (quality product, acceptable delivery time, etc.). Crowding-in: As the overall objective is to develop entire markets and not just specific businesses for sanitation, it is valuable to understand the patterns of growth or change in the general sanitation market. For example, are other businesses who were not directly engaged by the intervening organization entering the market as a result of observing the success of the engaged businesses? Is the market growing without any additional form of external support? Appropriate evaluation methodologies: While the Randomized Control Trial (RCT) is the gold standard for rigor, not every question requires that level of rigor to produce valuable insight/evidence. Evidence-based decision-making often does not require RCT-level rigor in order to make the right decision. Developing markets—inherently complicated and dynamic ecosystems—often requires constant iteration and close monitoring. Check back for Part 4 of 4 on May 25, 2017. PART 2 of 4: Selling Sanitation: Who Does What? Note that many of the responsibilities listed above are related to facilitating an experience for the all-important fourth actor: the customer. The group recognized the importance of engaging communities from the beginning, as doing so ensures a higher likelihood that the proposed solution actually meets the needs of the users and a higher likelihood of buy-in and adoption. However, the market development approach does not advocate for the government and international development community to irresponsibly devolve responsibility to the community. Households should not be expected to design and construct their sanitation solutions under the guise of participatory design. In the developed world, we are not expected to design and construct our own toilets, so why should we expect this of communities who have even fewer advantages in education, income, and general access to resources? As part of a market-based approach, we believe in the importance of basing solutions on the needs and desires of the users. This process is based on gaining detailed input from users on their attitudes, beliefs, needs and desires; this information is used to guide experts in the design, engineering, and marketing processes. This approach manifests itself in desirable and affordable products that people are willing and able to purchase. In order to attract the private sector, development practitioners need to first get a deep understanding of all of the above considerations (and potentially others) that would drive a business to reject or pursue a business opportunity. In addition to attracting businesses to join the sanitation sector, one must also consider how to keep them involved in the sector. Even when profits are good, the low status image of working in sanitation means that these businesses are always looking for alternatives. Working in sanitation often becomes a stepping-stone to working in something more lucrative or socially respected. Maintaining a sufficient level of private sector suppliers can be a challenge. It is important to understand the main drivers for businesses so that can they can effectively and sustainably serve customers in the sanitation market. Businesses will try to minimize cost and maximize profit. Costs could be non-financial, such as effort required. Identifying what businesses are most motivated by will help design effective ways to engage them and keep them interested in selling sanitation products/solutions. One common aspect of engaging with businesses across market-based interventions is intervening organizations’ dependence on businesses for record keeping of sales figures, which is often needed for donor reporting. SMEs are generally reluctant to put in the effort to complete record keeping as they do not see the immediate value in record keeping and may fear visits from tax officials. In order to incentivize businesses to complete record keeping, PSI has tied record keeping with access to capital, demonstrating that complete financial records will help businesses to access a loan. iDE has also tied continued support for demand creation to completion of sales records. Check back for part 3 of 4 on May 18, 2017. 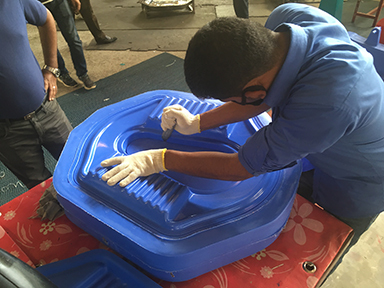 Sanitation as a Business (SAAB). Unfortunately, SAAB implies only the micro level of enterprise support and development, and this is too limiting. Markets consists of more than just enterprises, and market development efforts need to include the role of consumers, government, and civil society. Sanitation Marketing (SanMark). SanMark can lead to misunderstandings as people often think of marketing only as promotions, instead of the wider definition of the 4 Ps of the marketing mix: product, price, place, and promotion. Developing Markets for Sanitation. The group felt that the phrase “developing markets for sanitation” captured a more holistic systems approach where customers purchase desirable products and services that suppliers can sustainably offer for a profit. The group decided to recommend Developing Markets for Sanitation to reinforce the concept that sanitation problems must be dealt with at the ecosystem level and not just at the enterprise level. Market development involves understanding why market failures exist in the first place. For example, why are there no existing actors, be it private or public, providing these necessary goods and services? It is important to understand how the constituent parts of an ecosystem interact with each other and be aware of the dynamic relationships that exist. It is also important that we do not implement overly simplistic interventions that do not address the root of the problem, or ignore the dynamic nature of markets. The situation is not too different in Bihar where only 30% of the population have access to basic sanitation, and open defecation is still rife. 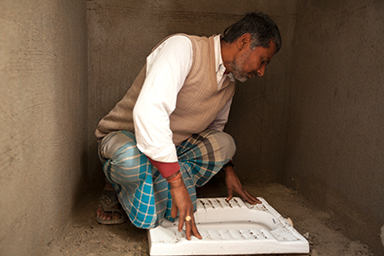 the Supporting Sustainable Sanitation (3Si) project in Bihar, which has used a market-based approach to overcome supply and demand barriers to latrine access and use. Bikas Sinha is 3Si’s General Manager for Programs. He will introduce the 3Si project and strategy and outline the milestones and learning. Lassina Togola is USAID SSD’s sanitation Technical Advisor in Abidjan. He will offer first-hand experience of progress, lessons and challenges to date regarding the Healthy Compound model. Dana Ward is SSD’s Chief of Party. He will introduce the discussion and set the context for providing affordable sanitation through the private sector.